I saw this on FB and had to share the beauty. 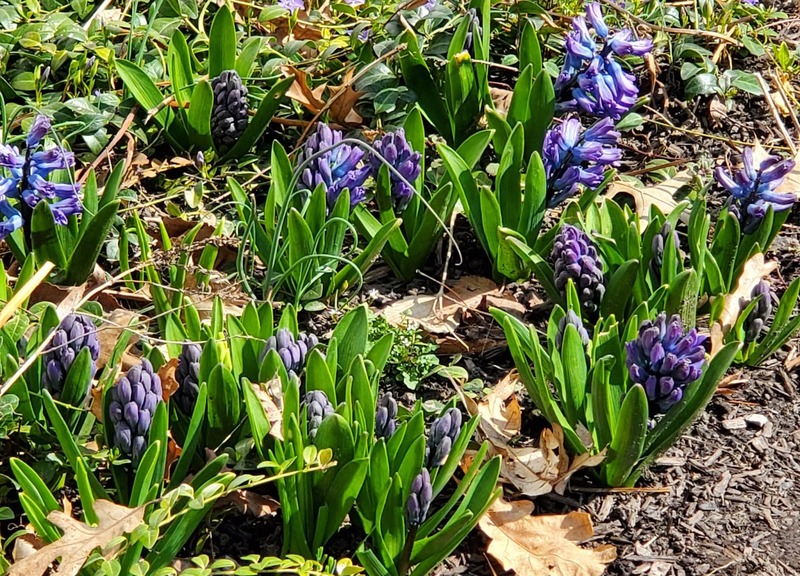 In our area daffodils and hyacinths are blooming. 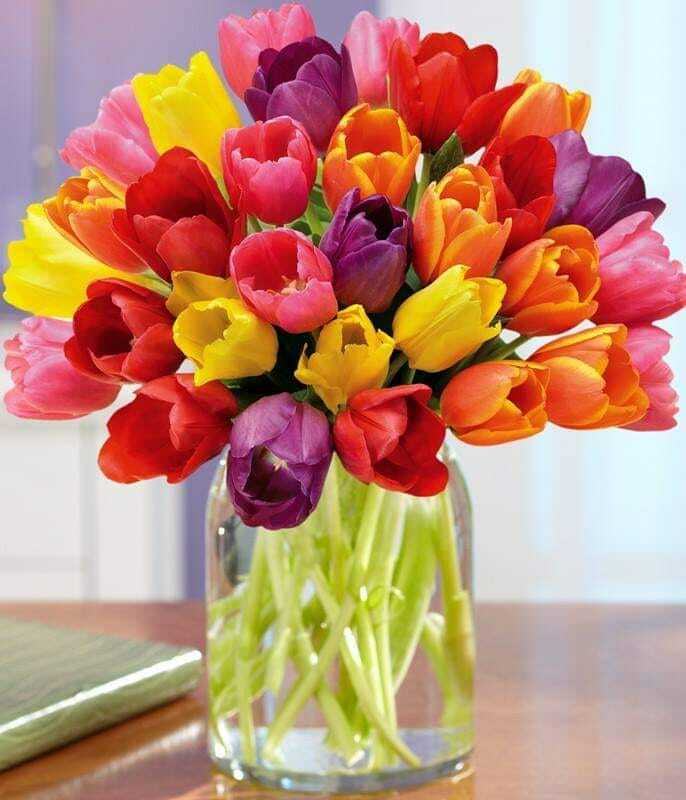 I'm sure I'll see tulips soon. Ben, Rachel and Brianna took the girls to the zoo. They live 5 minutes from the zoo and have a membership, so they take advantage of good weather days. While the 3 year old was here she took a nap. She brought her pillow, teddy and a blanket. When she awoke, she brought them downstairs and played mommy. She was so sweet to kiss her teddy and talk to it as she covered it. When she was getting a snack in the kitchen, Phoebe settled in next to her teddy. This is the small Easter basket we made at my class this month. 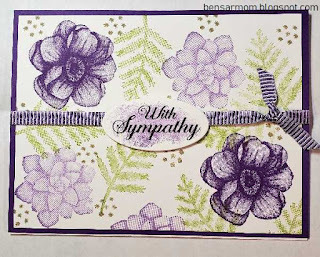 The gorgeous handle is a border from the laser cut paper Stampin' Up sells. This is a card we made at class. I cut the laser paper and added it to the back of the card using dimensionals. It was a quick and easy card to make. It packs a wow factor with the lace look and the ribbon. 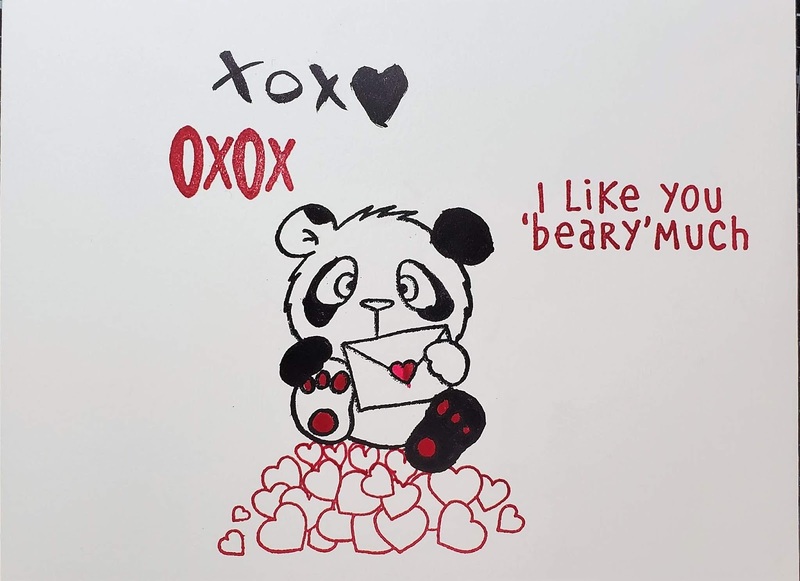 This is another card we made. 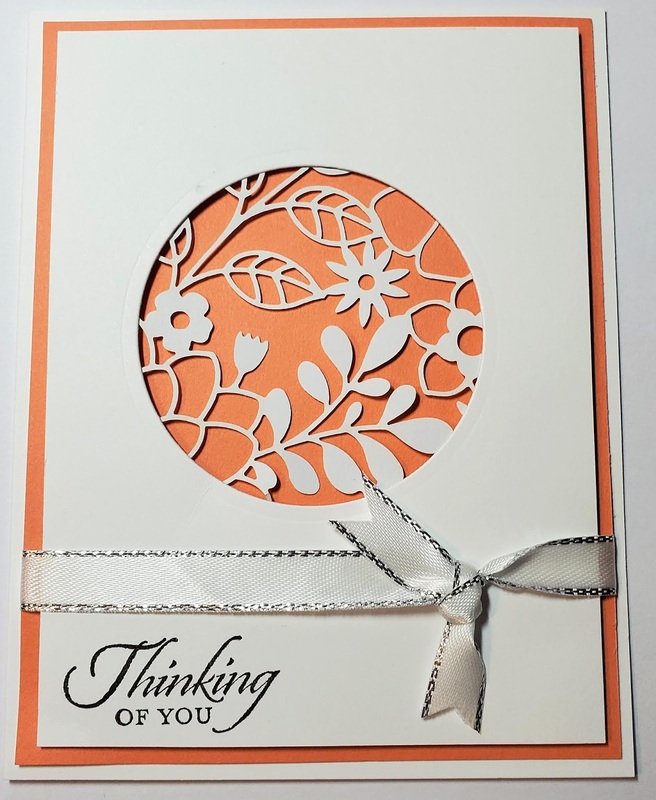 The card opens up and the front flap opens down to reveal the sentiment. This was another easy card to make. 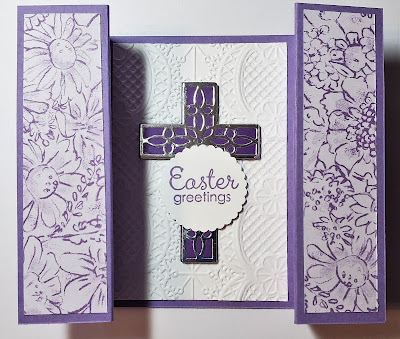 This is the Easter card we made. It is smaller than a typical card. I might add it to a card base next time to see how it looks. 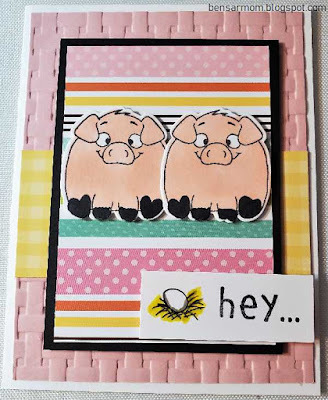 Could these piggies be any cuter? This is a set from Gerda Steiner called, Chicken Scratch. I bought the stamps and dies. I stamped many using my Stamparatus, then cut all of them out. Next I started to color the images. 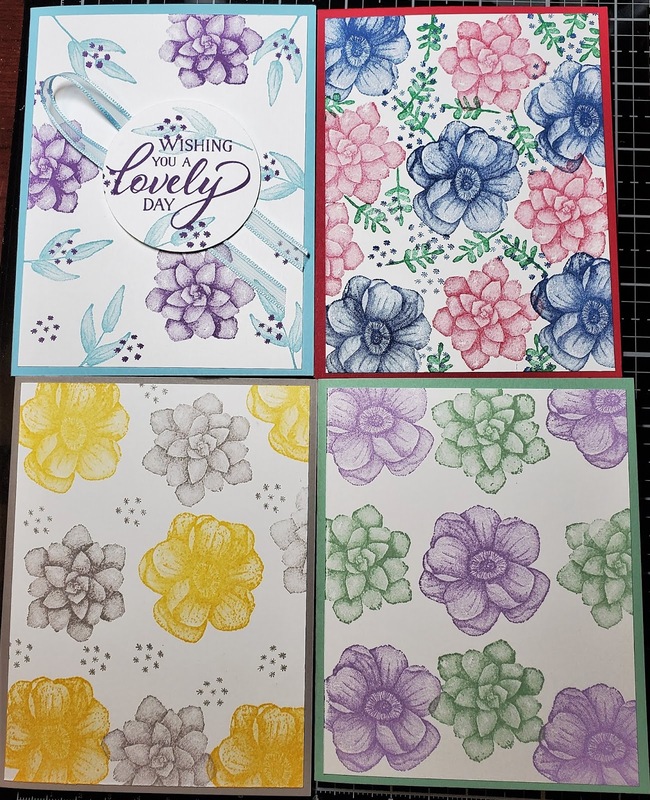 Now I have lots of colored images to use for cards. The Spring paper was given to me by a friend. This is a watercolored background with stamped images on top. 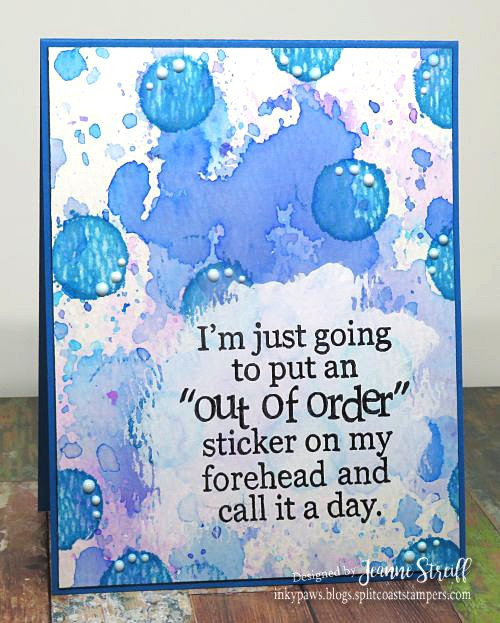 I added lots of water to watercolor paper, then added watered down ink in different colors. The ink blended and made some beautiful backgrounds. The group of these I made went to South Carolina Juvenile Justice System. I added this today because I struggle with this. I'm sure many of us do. 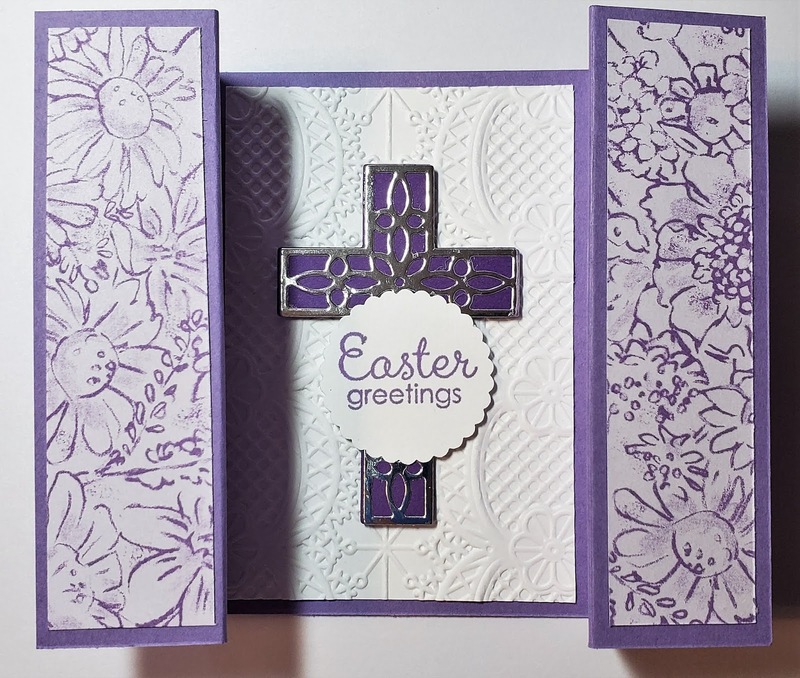 Blessing of the Day: I got my Easter cards mailed as well as my box of cards to South Caroling Juvenile Justice System. Tim cut the lawn for the first time this year. We watched our Cleveland Indians beat the Mariners 1-0. It's fun to watch games with Tim. Outside My Window...It's been a beautiful, Spring, day. Our high was 74 degrees. We sat on the screened in porch today after church. I had lunch there as well. In the Garden...plants are blooming and things are getting green. 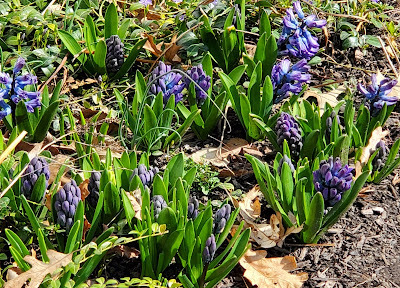 I have beautiful hyacinths that need to be moved after this year. They are beginning to crowd each other. They smell so pretty when the breeze blows and brings their scent into the screened-in porch. 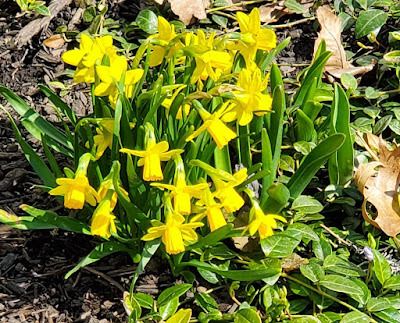 These are mini daffodils. Aren't they cute? I had several pots of mini daffodils given to me in past years. I had Tim put them in the ground and here they are to brighten my days. 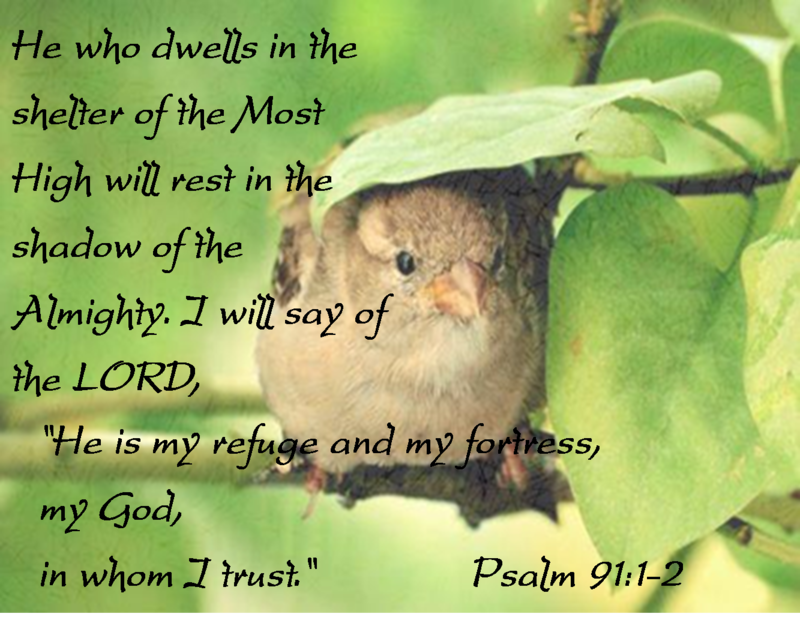 God is amazing with all He gives us to appreciate with our senses. We stop to smell the flowers in this house! Zoey took a nap. When she got up Kaelynn was at play practice. I got to spend time with Zoey and had fun. She helped me put up a flag in the garden. She was amazed at how it moved in the wind. Three years old is a precious time of learning and exploring this world. We got to talk to Ben and Rachel and catch up a little. 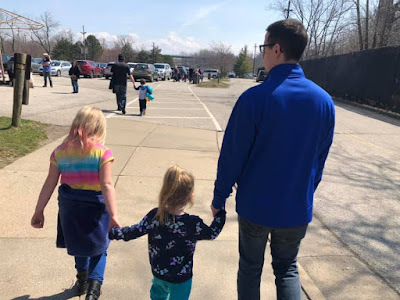 I am thankful for...my relationship with my kids. 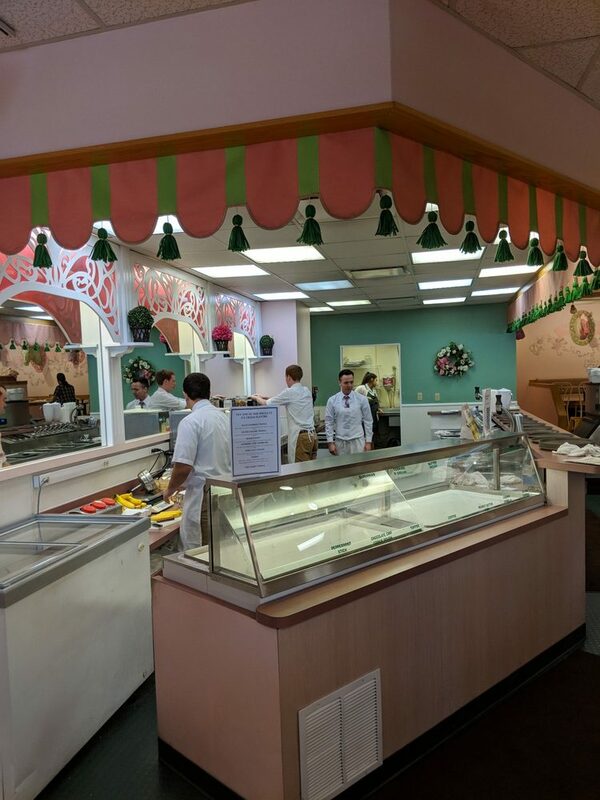 I went to Malley's Candy and Ice Cream shop with Sarah, around the corner from where she lives. This is a Cleveland only, franchise started in the mid thirties in Lakewood, Ohio. 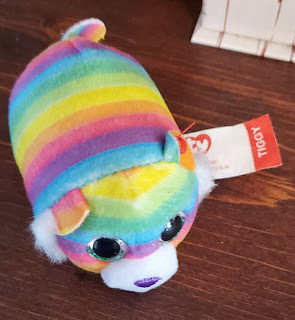 It's colors are pink and green. The North Olmsted store was the third store built. Mr. Malley put a slow-moving carousel in the center of the store. Quite often it is reserved for birthday parties. They have any type of ice cream treat you could want. I ordered a hot fudge sundae with raspberry sauce and peanuts. Yum, the taste of the raspberry and chocolate was just amazing! They have booths and tables all through the store. These places are huge, so you don't feel crammed into a small space. We sat in a booth and enjoyed our hot fudge sundaes. Sarah bought some candy I waited. I didn't want her to know what I was getting for her and siblings. We have a Malley's store near us, however, it's not an ice cream shoppe. After our tasty treat, we went to a craft/vendor show at a church down the street. From the kitchen...all is quiet. 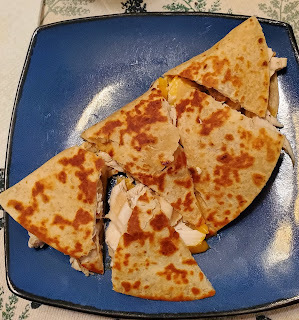 Chicken quesadillas were on the menu. I love the crispiness of these. 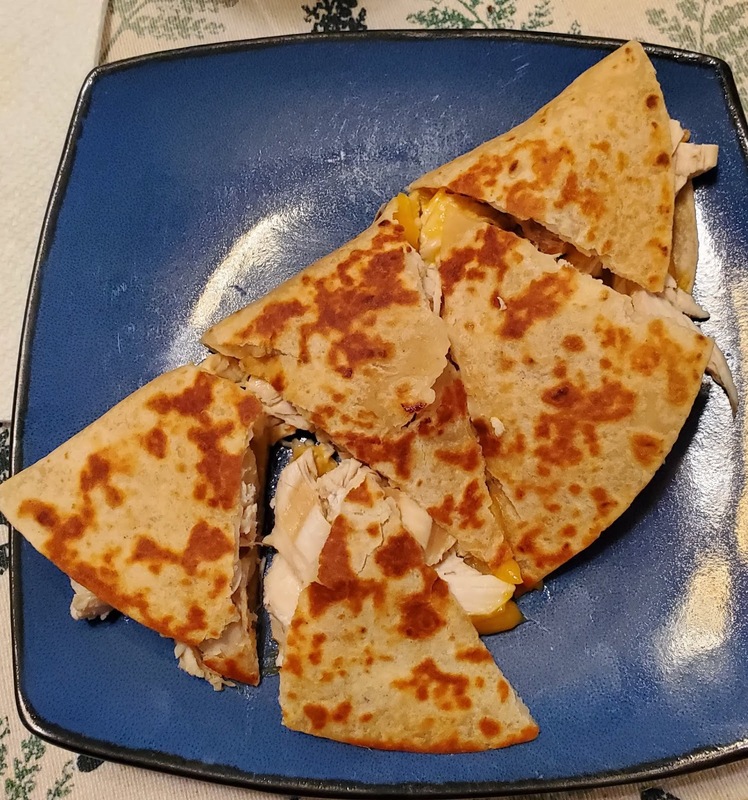 We cut them with the pizza cutter and enjoy them much cheaper than we can get them at a restaurant. We have small bowls of sour cream to dip pieces into. I am wearing...long sleeves, jeans and tennis shoes. Short sleeves are coming soon. 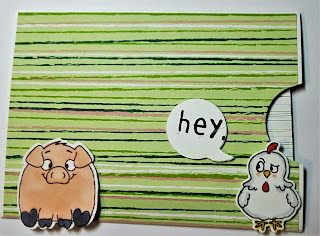 I am creating...cards for my class tomorrow. I have 6 ladies coming. I can't wait to see if they like what we make. 4 of these ladies have been coming for a year and a half. 2 ladies will be new tomorrow. I am going...to continue to work on cards for South Carolina Juvenile Justice system. Then I can work on fun ones for me. 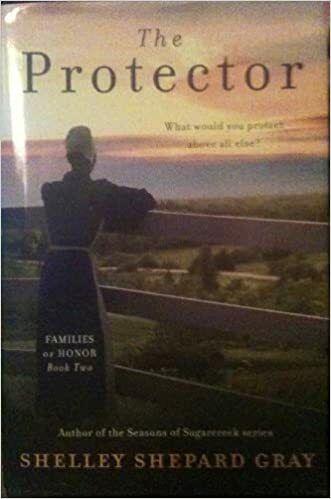 I am reading...the same Amish novel, The Protector. I have been so busy making cards for SCJJS that I've neglected my reading. 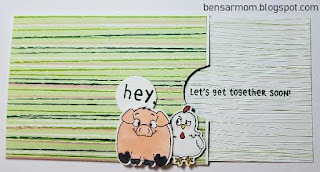 I am hoping...I can work on some more fun cards with the new stamp set I got from Gerda Steiner called, Chicken Scratch. 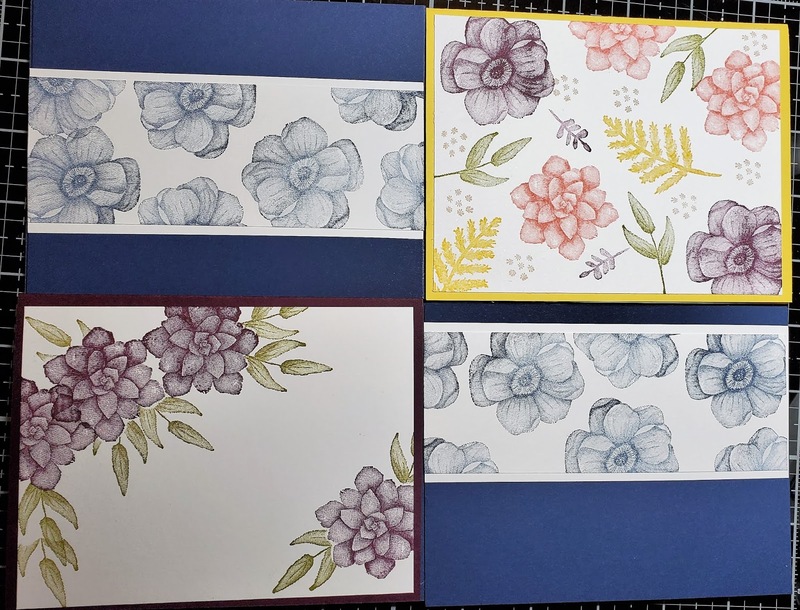 Here are a few cards I made with them. This is the front of a slider card. I made this for a Christian of Faith challenge on SCS. 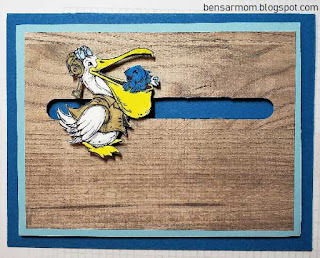 We were to make a card that had movement or a flap. This is the card pulled out. I love how happy the pig is and how funny the hen looks with the pig practically sitting in her lap! Here's a second card I made. 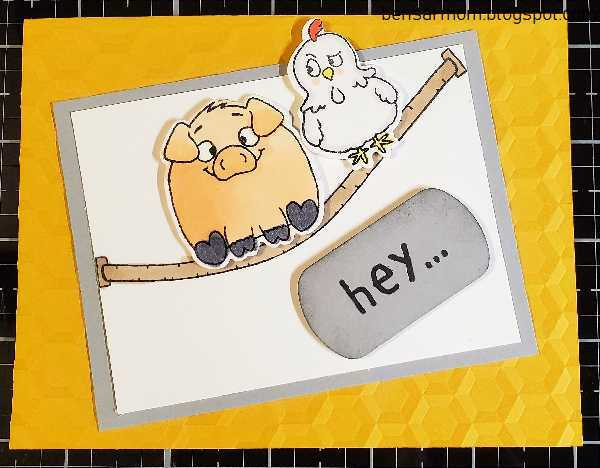 I made the perch look as though it's bent because of the pig. 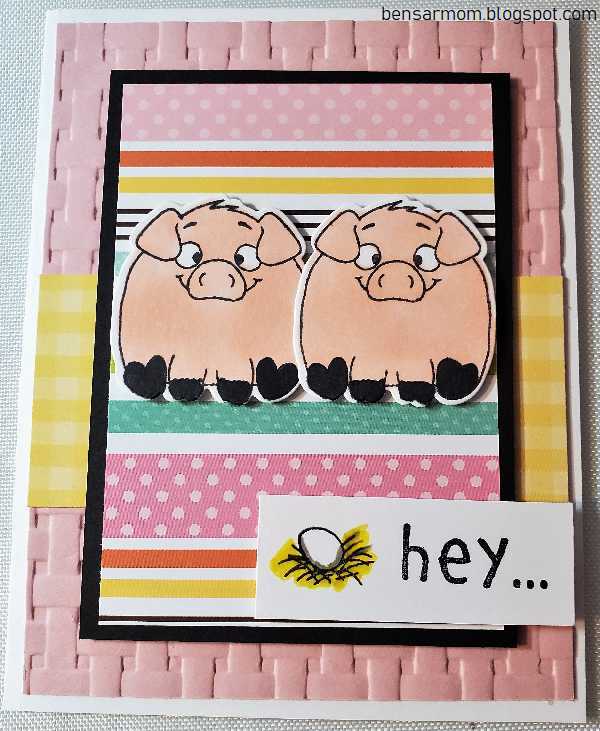 The pig is clueless just happy she's next to her friend. Inside the greeting is, "Just chicken in my friend." I showed my 7-year old granddaughter this and she said, "I think you should write "Hay" on the front like the hay in the barn! She pretty smart. We both laughed at how great her idea was. I already had this put together so I told her I'd try it on another card. She's priceless. I am hearing...my Christian Music, with lots of different Christian artists singing. One of my favorite things..is a cup of hot coffee on the back screened in porch. I'm hoping tomorrow is warm enough to do this. A Grandmother's Worry: Yesterday Ben brought the 3 year old here for a nap. She came down from her nap with this stuffed animal. She ran to me and put the animal on my desk and hugged. She was off and I was with her. We both forgot about her animal. This morning I put the animal in an outside pocket of my purse. It was cute to see it peek out. When I got into church, the animal wasn't there! OH NO! Everyone reassured me it was in the car. It wasn't, I was so upset because I'd heard she cried when she didn't have her little animal. I left church early not feeling well but didn't see the animal anywhere. I texted my daughter-in-law to ask at church maybe someone found it and brought it in. Someone HAD found it in the parking lot and brought it in. 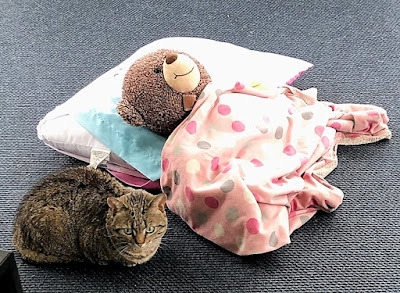 Zoey was reunited with her precious Tiggy stuffed animal. When I saw her today I was so happy and excited. This little 3-year old with big, blue eyes told me now she wouldn't have to cry going to sleep because she didn't have her tiger. All is right with the world. This grandma had a headache all day. It's amazing how little the headache bothered me when my grand kids were here. A Few Plans For The Rest Of The Week:Tomorrow I have 6 ladies coming for class. Tuesday Tim and I will run errands ending with lunch after the working folks go back to work. We'll be moving furniture from the small bedroom into the newly finished mauve room. That way Tim can begin working on the flooring in there. He'll take up all the carpet, lay down the padding, then the flooring. This room won't need to be painted so it will go faster. Tim is so talented, it amazes me all he's done to update our home. So thankful for him. Here's a picture I have to share:Stampers or Scrapbookers will understand. 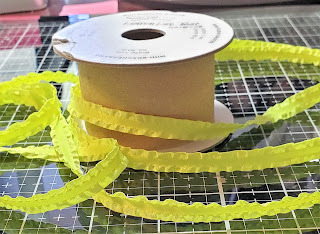 This is all that's left of my 10 yards of lemon-lime twist mini ruffle ribbon! I celebrate when I finish a roll of ribbon. It verifies that I'm not just a collector of craft stuff! Check out this song: This is called, Fight on, Fighter by King and Country. 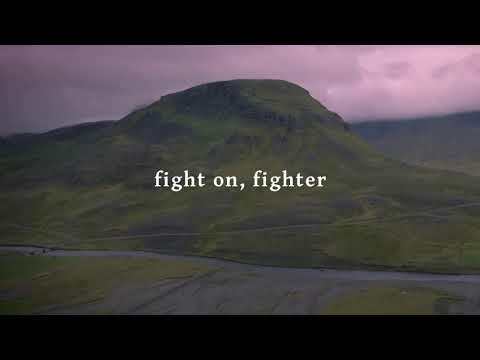 It's a great song to remember when facing adversity. Blessing of the Day: I got to stamp with my 7 year old granddaughter. I got to play with my 3 year old granddaughter. She was very chatty today. I love listening to her play with her animals and dolls. She put her toys under a blanket and on a pillow and kissed each one before they went to sleep. Sweet memories this will be for me. I just have to share a partially finished card that 7 year old Kaylenn worked on last time she was here. 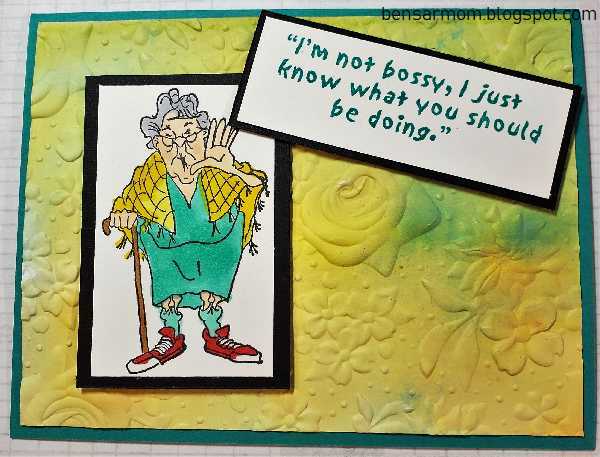 She really enjoys stamping, coloring and making cards for her mom and dad. She made a different one while here and said, "I'm going to make this from Zoey and me, even if she didn't help make it." Is that precious or what? They are both sweet little girls. I'm so glad they are spending time with Rachel and Ben as foster children. When Kaelynn returns she'll finish this and we'll make it into a card. Sweet Times. 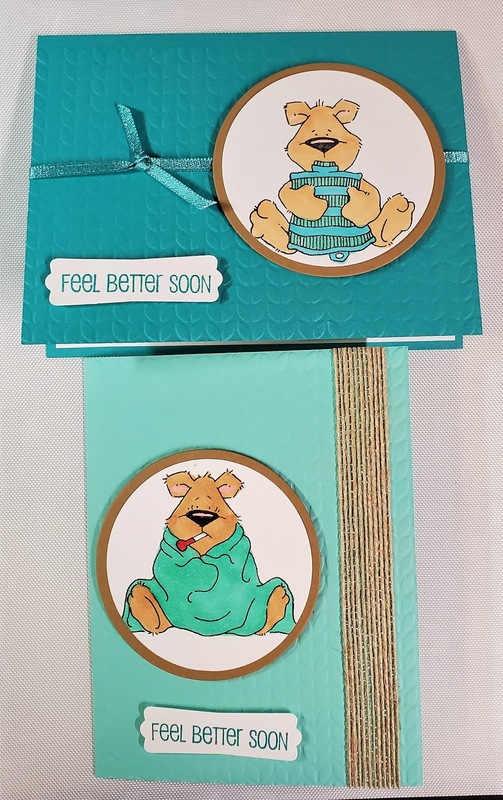 South Carolina Juvenile Justice System needs get well cards. 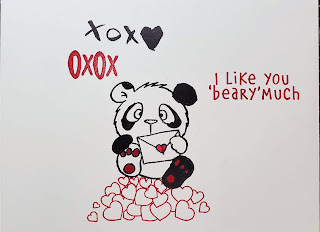 So I stamped some of these cute little bears from Inky Antics to send. 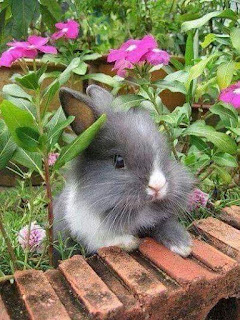 Isn't this just the cutest baby bunny you've ever seen? When I saw this on FB I just had to share. Makes you want to go get a baby bunny. I know however, that baby bunnies grow up and may not be as cute. I've heard that both bunnies and chicks purchased for children at Easter usually get relocated when they are not little and cute anymore. A dear friend posted this on FB. 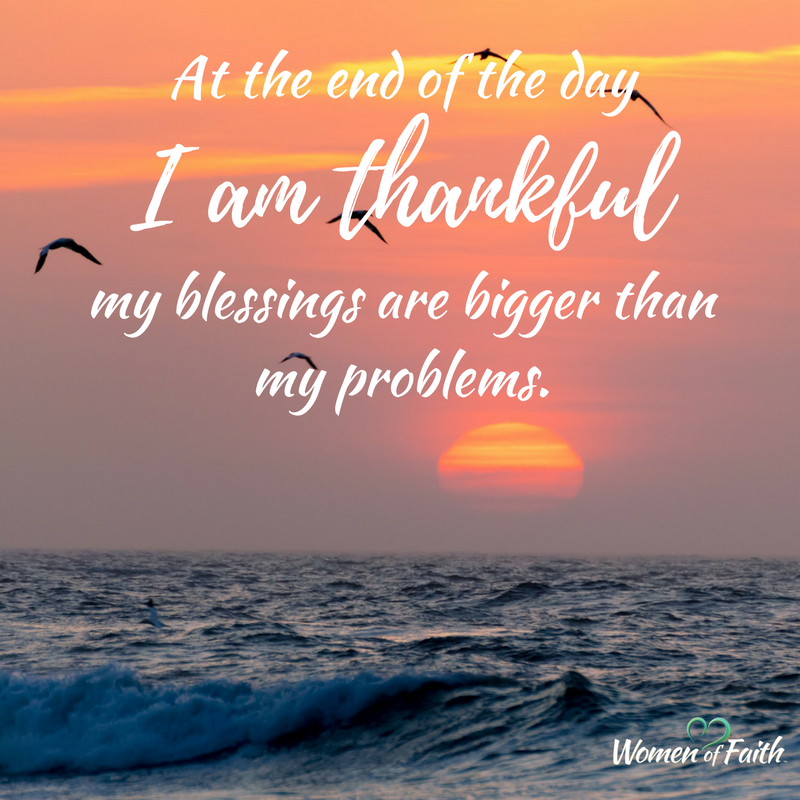 It was a great reminder to me that I have so many blessings. Why do I (we) spend so much time complaining and being down about problems we're facing? 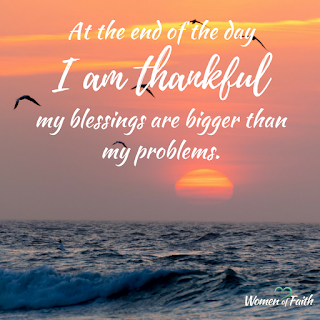 I am slowly beginning to look at things to be thankful for and praise God for that. 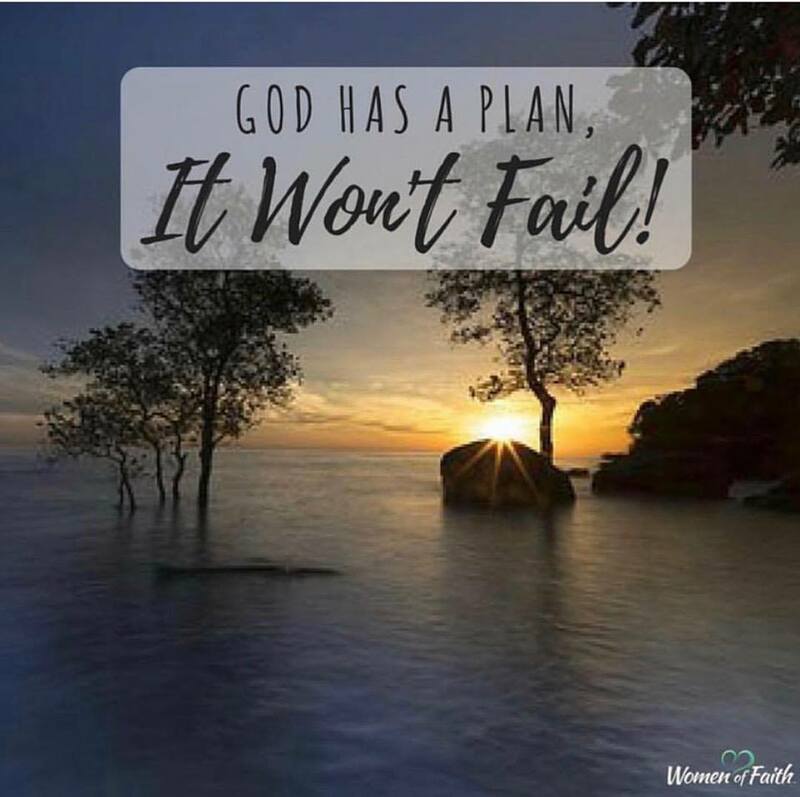 When I focus on God, things automatically get better! This was my card for the Color Challenge this week. The colors we were to use were, highland heather, gorgeous grape and pear pizzazz. I love this stamp set. It is a Distinktive stamp which is a photo of an image that gets turned into a stamp. 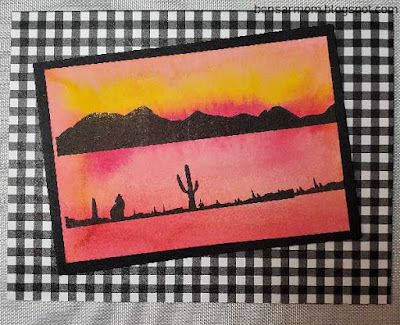 It has shadings right in the stamp so you get darks and lights when you stamp. This is the sketch challenge for today. 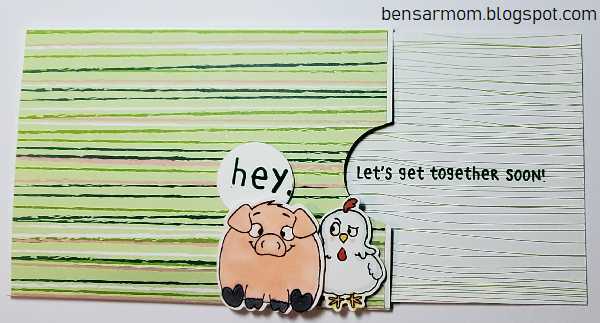 Here's my card for the sketch challenge. I love using this little bunny. 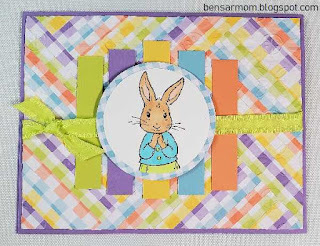 I used 1/2" strips for the background. 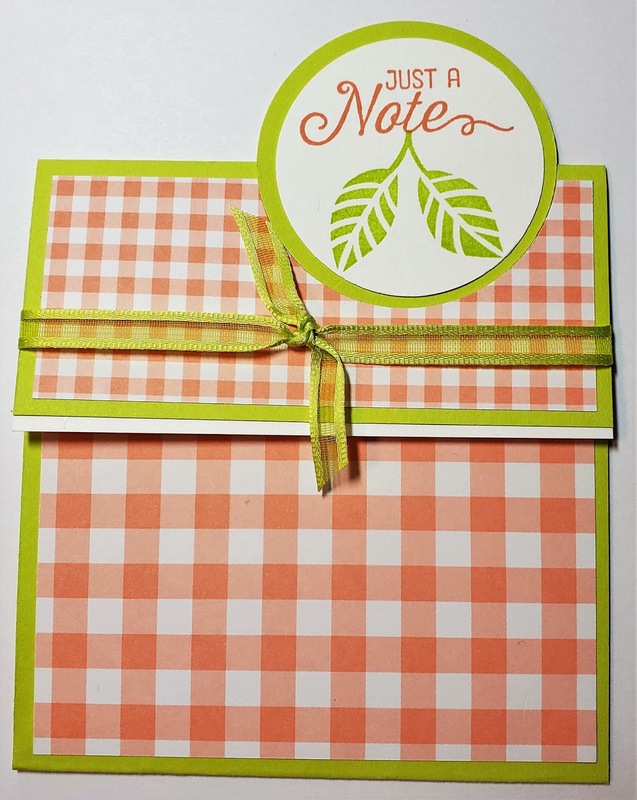 To make the background, I started with a 1" square in the center of the card, placed like a diamond. I used 1/2" strips of paper to make the background. Begin lining your first strip next to the diamond shape lining it up with the edge of one side. Turn your cardstock and line the next strip next to another side of the diamond lining it up with the edge of the first strip you put down. 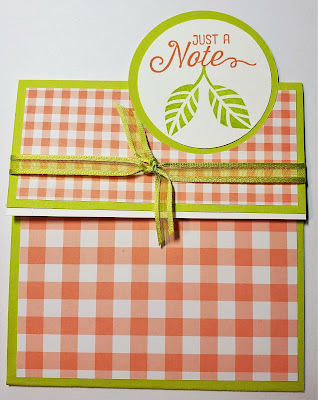 Continue around until your cardstock is filled. Cut the ends hanging off to see your beautiful design. I stamped and colored the bunny with Copic markers, then punched out the two circles. The ribbon was added then the image. Not sure if this will be an Easter card or not. I've been listening to this song lately. 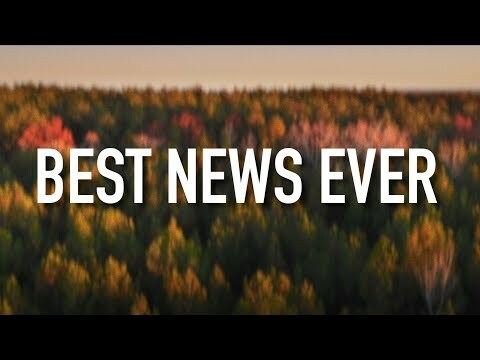 It says that God's provided a way for us to be saved and be with Him in heaven forever. Many people think it's a difficult gift to accept or that it is very complicated. It's not at all. 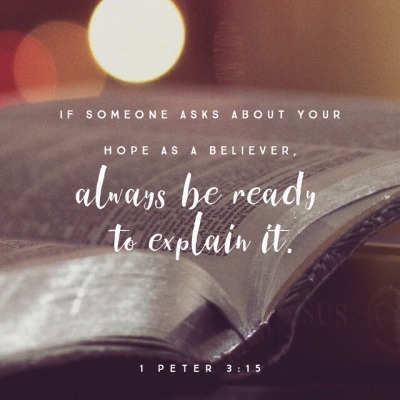 Believe that God is who He says He is. 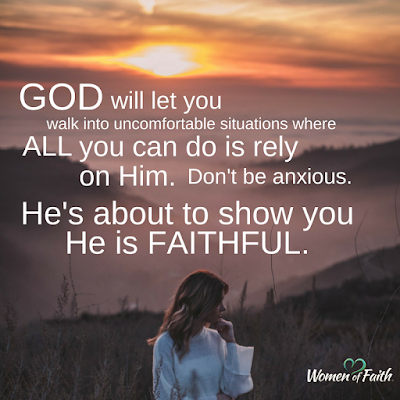 Ask God to be in charge of your life. 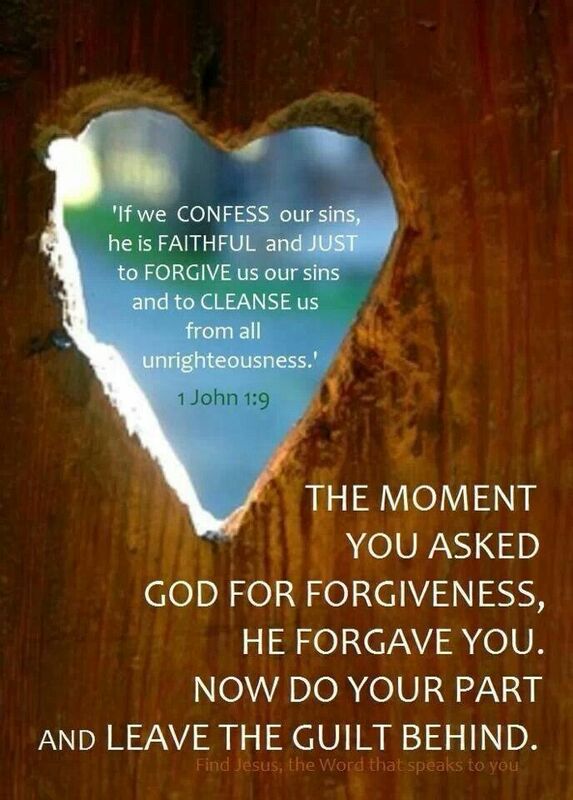 Ask for forgiveness for your sins. Accept God's gift of salvation. Blessings of the Day: Today I ran a few errands to help Tim. Tim got the underlay down for the flooring in the mauve bedroom. In spite of a bad headache, I'm getting things done. Happy April 1st. April Fools Day was a hated day with most teachers when I worked. You had kids all day pranking you. At the primary level the pranks weren't too original but we acted surprised like it was an original idea. 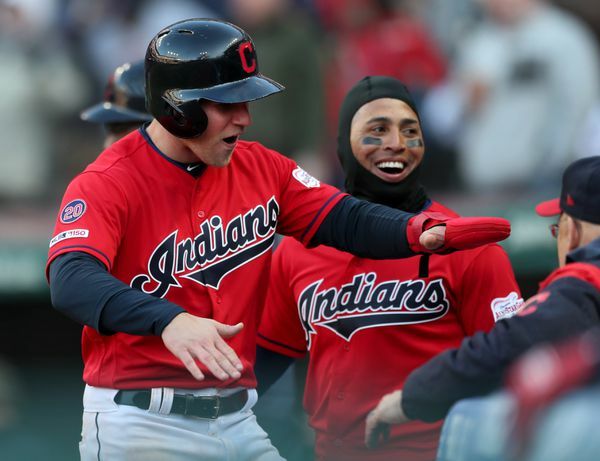 Jake Baurs, the new left outfielder, put the bat on the ball to help the Indians win their Home Opener, 5 to 3. On opening day we've had a tradition, since the kids were little, to have a baseball dinner. Tonight, Tim and I had beef hotdogs, and nachos as we watched the game. It's fun to have traditions you celebrate whether the kids are still there or not. It's Monday again and we had cold temperatures, snow on the ground from the weekend, and lots of sunshine. I love any sunshine we can get. 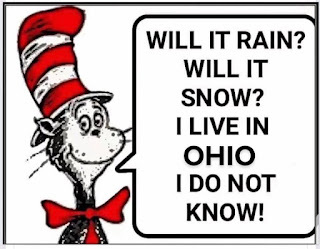 Living in Cleveland, Ohio we don't get a lot of sunshine. This is for two challenges today. The first is the Technique Lovers challenge where we were to stamp with an acrylic block. 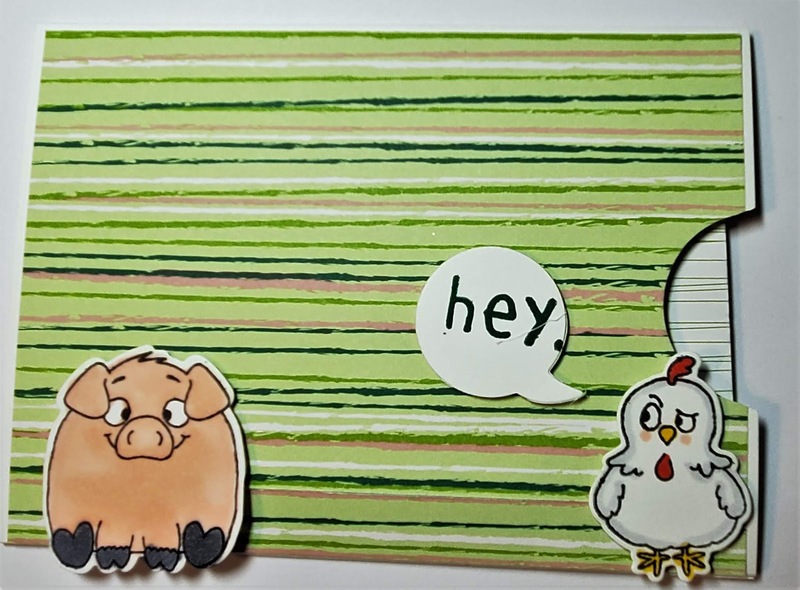 Clean and Simple's challenge was to make a funny card for April Fools Day. I added ink to my largest acrylic block and spritzed it with water. I put my water color paper on top then dried it with my heat tool. I dry embossed the background. I colored Flo with Copic markers. I stamped the sentiment,( I know it's Art Impressions, but I don't know the name of it.) and added it with dimensionals to the front of the card. 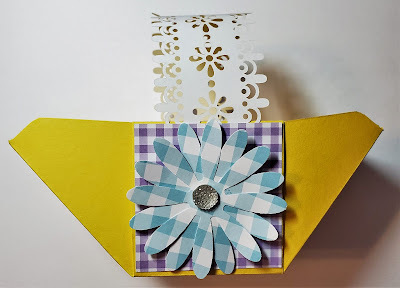 Here's the inspiration for my box. I stamped the bunny, cut it out with dies, added a scallop die behind it. 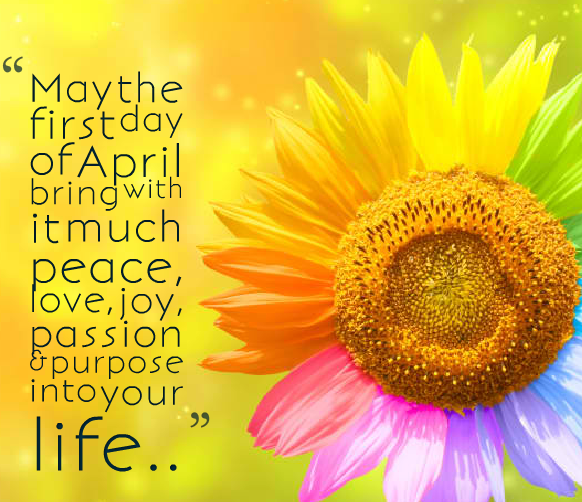 I added a Spring sentiment instead of Easter. 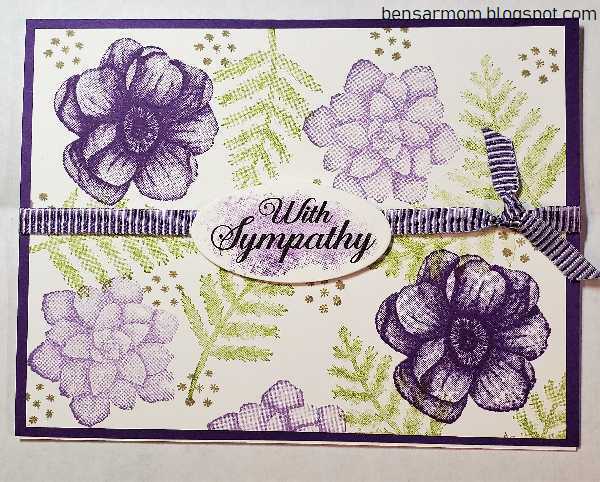 I used a different color ribbon. 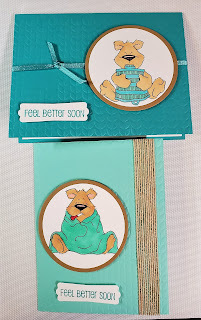 I used some green on my bunny and with the designer series paper. I followed the directions by Angie found here. 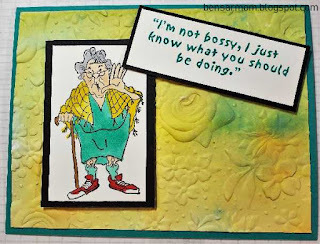 Here is the inspiration for my card. I liked the pelican on her shirt. 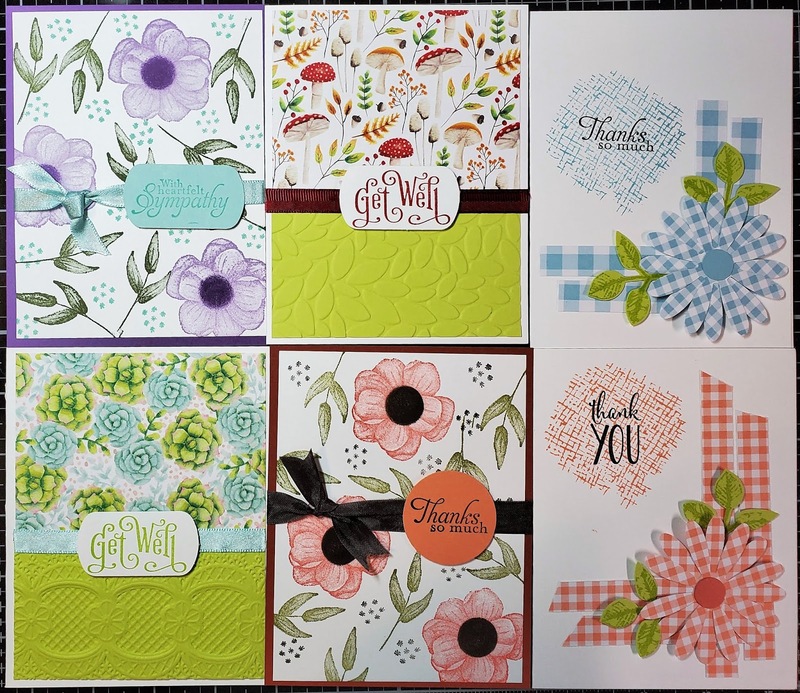 Over the weekend I worked on lots of cards for South Caroling Juvenile Justice System. They need lots of cards for kids that are living there, teachers and volunteer staff. 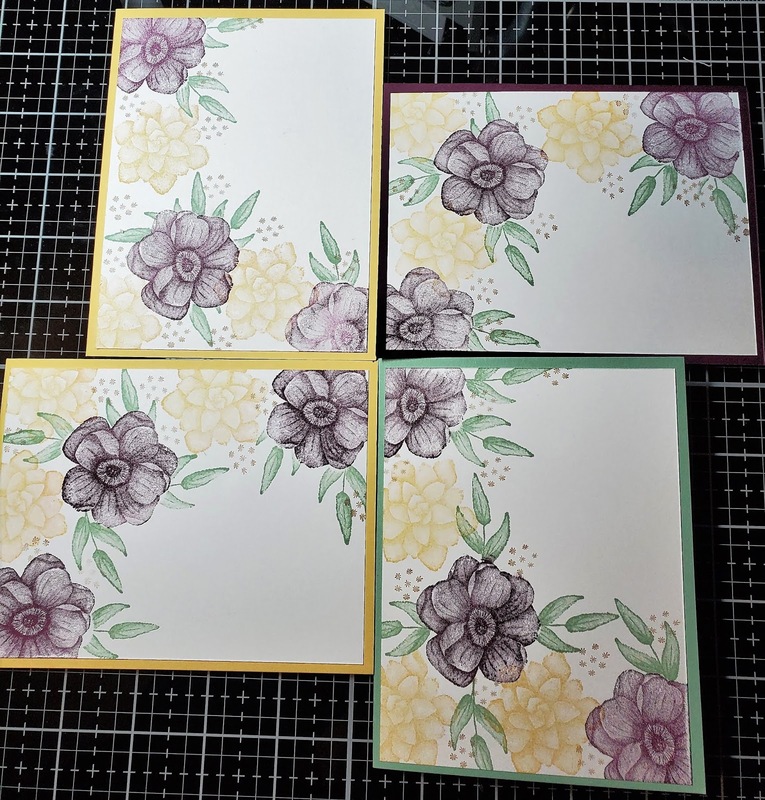 I've been making cards in batches of 10 or 12 to make it easier. 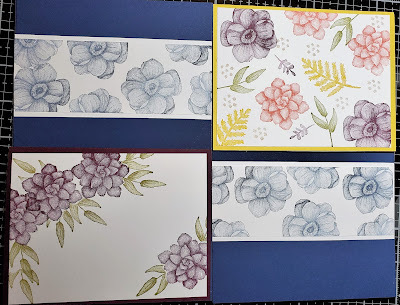 I've been trying to use my designer series paper also. 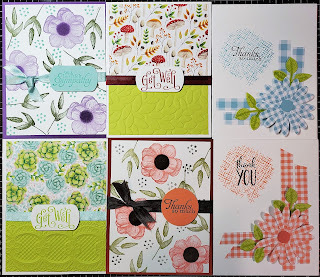 The Stampin' Up new catalog will be out in June and I want to be able to justify buying new paper. A friend posted this on FB today. It was what I really needed to see today. Thanking God for friends who encourage even when they don't know it! Another friend posted this on FB and I laughed out loud. It's so true for this area. 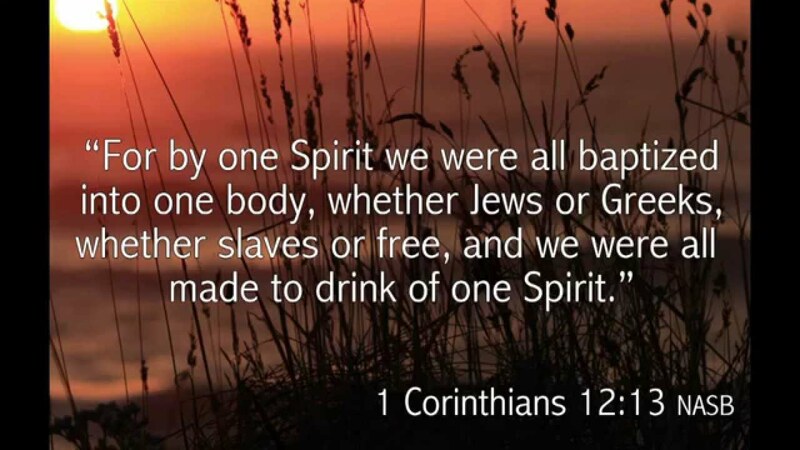 I'm so glad to be part of the family of God. 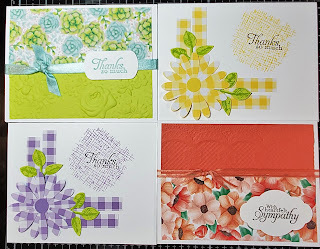 Blessing of the Day: I got lots of cleaning done, and some cards. Tim and I watched the Cleveland Indians Opener from the warmth of our living room. At game time, it was 37 degrees with a slight wind. I'll take my warm house any day! Outside My Window...It's a gray day. 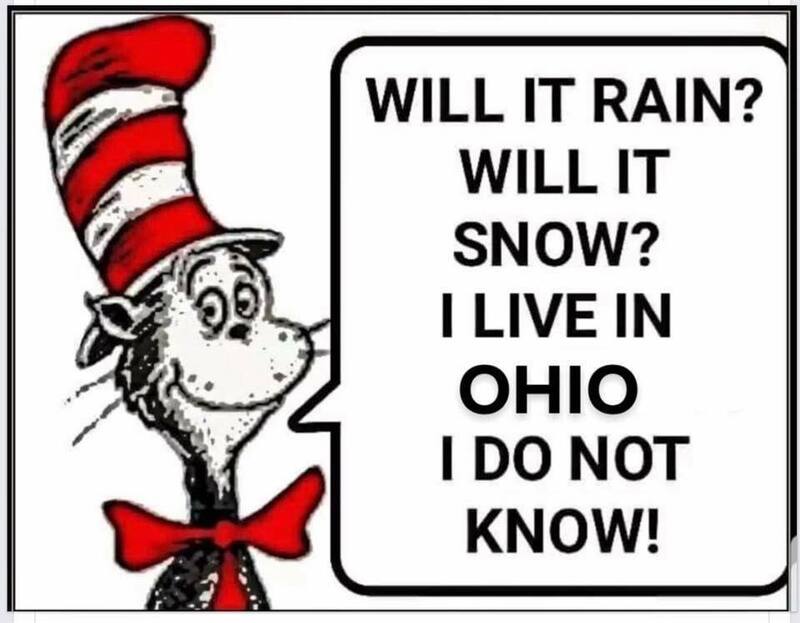 However it got to the mid-60's today. I am thinking...Tim and I got a lot done today. We moved all the furniture from my room to the front room which used to be Tim's office. 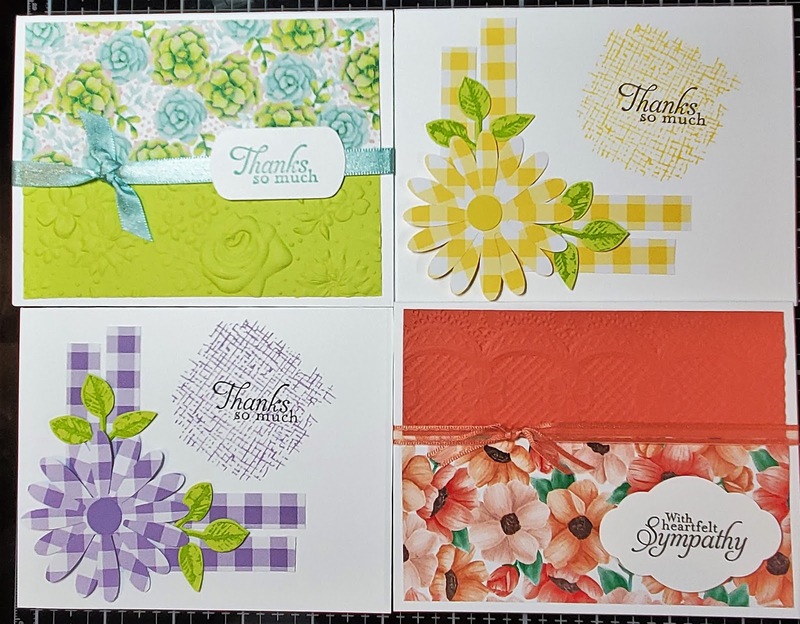 I am thankful for...my wonderful customers who have become friends. From the kitchen...all is quiet. Chili was on the menu tonight. I am wearing...long sleeves, jeans and boots. I am creating...cards with my Painted Seasons stamp set. I am going...to work on more cards tomorrow. I'll see Kaelynn and Ben tomorrow. It's Kaelynn's last day of Spring Break. I am reading...another Amish novel. I am hoping...I can continue to read the books that are sitting on shelves around here. Every time I look around, someone else is giving me a book to read. Around the house...kitties are sleeping and Tim's watching the Cleveland Cavaliers play the Spurs, in Texas. One of my favorite things..is a good, beef hot dog. I've gotta get some for Monday's home opener with the Cleveland Indians. We always watch the game with hot dogs, chips and foods you'd get at the stadium. A Few Plans For The Rest Of The Week:Ben and Kaelynn will come over for a while tomorrow. 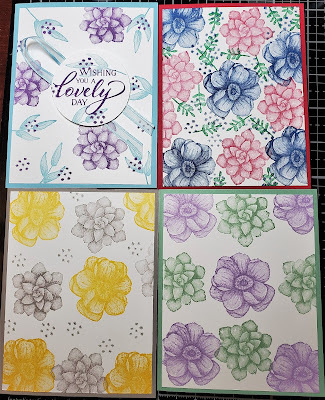 I hope to stamp with friends over the weekend. 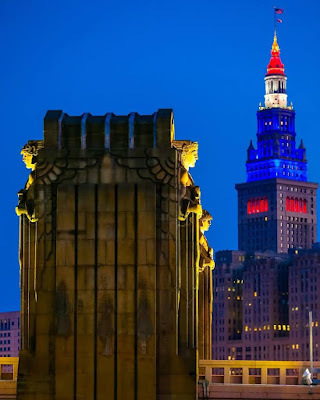 Here is picture thought I am sharing...This is a picture of the Hope Memorial Bridge here in Cleveland. 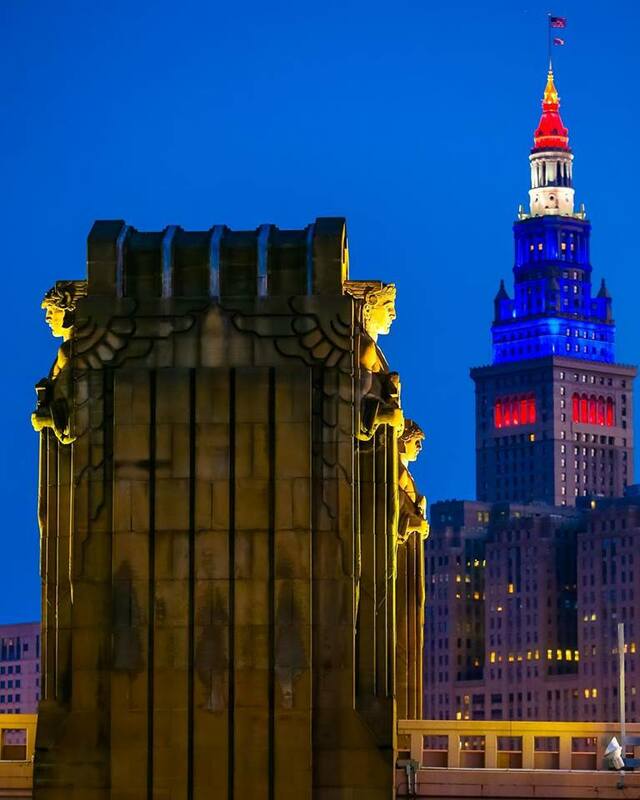 The Hope Memorial Bridge is a 5,865-foot-long art deco truss bridge crossing the Cuyahoga River in Cleveland, Ohio. The bridge connects Lorain Avenue on Cleveland's west side and Carnegie Avenue on the east side, terminating just short of Progressive Field. Pairs of statues designed by sculptor Henry Hering and architect Frank Walker – titled the "Guardians of Traffic" – stand on pylons at each end of the viaduct, symbolizing progress in transportation. 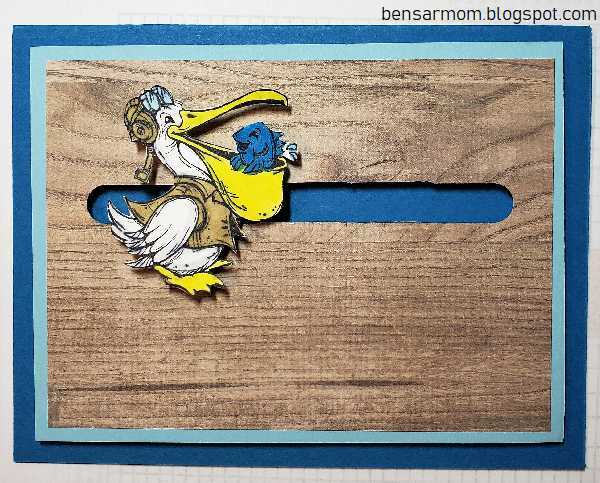 I saw this on a stamper's website and had to share. It seems many could relate to this. Check out this song if you are one who needs to be in control all the time. 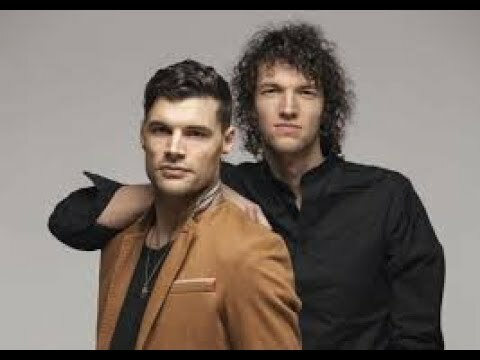 This is For King & Country and it's called, Control. Finally, Back Among The Living!